Photoacoustic imaging (PAI), also referred to as optoacoustic imaging, is an emerging biomedical imaging technology that is noninvasive, nonionizing, with high sensitivity, satisfactory imaging depth and good temporal and spatial resolution. In PAI, a short-pulsed laser source is used to illuminate a biological sample and generate photoacoustic waves due to thermoelastic expansion. Then the photoacoustic signals are measured by ultrasonic transducers to rebuild the image of the sample. Therefore, like conventional optical imaging, PAI presents the optical contrast which is highly sensitive to molecular conformation and biochemical contents of tissues and can aid in describing tissue metabolic and hemodynamic changes. Unlike conventional optical imaging, the spatial resolution of PAI is not limited by the strong light diffusion but instead determined mainly by the measurement of light-generated photoacoustic signals. As a result, the resolution of PAI is parallel to high-frequency ultrasonography. In this talk, I will present the recent advances in biomedical photoacoustic imaging in our laboratory at University of Michigan, including the development of imaging techniques and their applications in preclinical and clinical settings. Prof. Wang is currently an assistant professor in the Medical School of University of Michigan, Department of Radiology, holding an adjunct faculty position at the Department of Biomedical Engineering. Prof. Wang has extensive experience in imaging system development, laser-tissue interactions, and adaptation of novel imaging technologies to laboratory research and clinical managements. His paper published in 2003 on the journal of Natural Biotechnology has been regarded widely as a breakthrough in biomedical imaging, and is also the most frequently cited paper about biomedical photoacoustics. 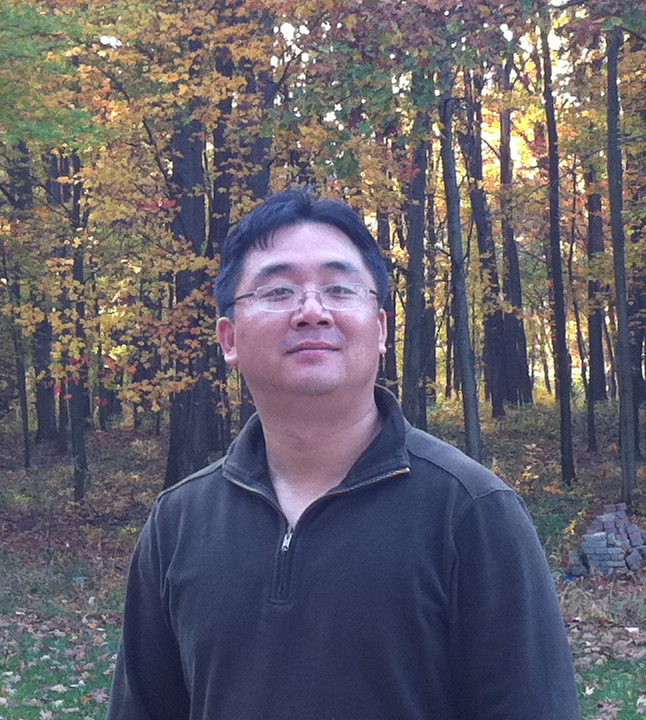 As a principle investigator or co-investigator on grants from NIH, Army, ANRF and NSFC, Prof. Wang’s current work has been focused mainly on the clinical application of novel photoacoustic imaging technologies. His contribution to biomedical imaging up to now includes 40+ peer reviewed journal papers, numerous conference proceedings and two book chapters. Prof Wang has been awarded with Sontag Foundation Fellow of the Arthritis National Research Foundation in 2005, and Fairway-LaserSonix Young Investigator Award during the 2005 SPIE Photonics West Conference.